Pingyao is a small, well-preserved, ‘ancient city’, famed for centuries-old architecture and China’s first bank. 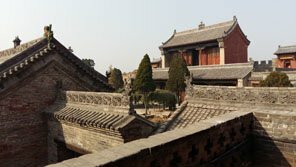 Recommended for photography and history lovers, it’s between Beijing and Xi’an, in north China. It is an outstanding Han Chinese city of the Ming and Qing dynasties that has retained its historic features to an exceptional degree. 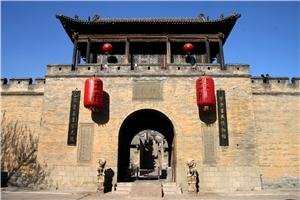 Pingyao Ancient City Wall, Shuanglin Temple, and Zhenguo Temple are National Protected Relics and World Heritage. Pingyao is the birthplace of the Jin merchants (merchants of Shanxi Province) and the earliest bank, serving as the financial center of Shanxi province in the Ming (1368–1644) and Qing (1644–1911) dynasties. 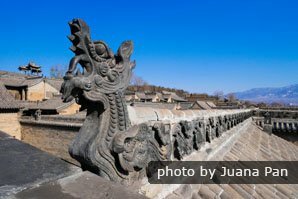 For its sound preservation of the urban landscape in China&apos;s Ming and Qing dynasties, Pingyao was added to the UNESCO&apos;s World Heritage List on December 31st, 1997. 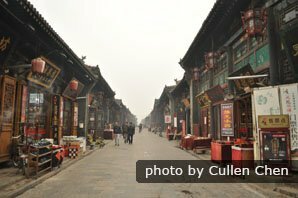 Pingyao is well-known in the China travel industry. Although it is no longer prosperous through trade, the history and the cultural relics make the city a first class tourist destination in China. Pingyao city is one of the most famous historic and cultural cities of China. 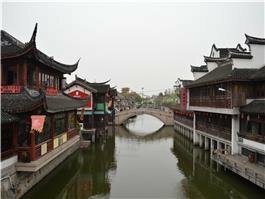 It is noted for its concentration of China&apos;s famous historic temples, buildings, shops, banks and so on. A branch of Shanxi cuisine, the local diet in Pingyao features wheaten foods, like noodles and buns. The best places to have a taste of the local food lie along Mingqing Street inside the ancient town. Pingyao wantuo are one of the most popular traditional snacks, with a history of about 100 years. Wheat and buckwheat are measured out and made into noodles. Then oil, salt, chopped green onion, and other condiments are added. The paste is dished into small bowls, which are put into bamboo steamers. After steaming, they are left to cool down. Local people have two ways to enjoy the steamed noodles: cold noodles mixed with vinegar, garlic, sesame, aniseed water, hot pepper, and other ingredients; or hot fried noodles with bean sprouts. Pingyao beef jerky dates back to the Han Dynasty (206 BC – 220 AD) and became popular in the Ming Dynasty. As an important part of Shanxi’s dietary culture, Pingyao beef jerky differs from soy-seasoned beef elsewhere, as old cattle are used as the raw material — the older the cattle, the more delicious the Pingyao beef jerky tastes, and the longer it can be preserved. Jellied bean curd is a kind of tofu mixed with a salty sauce. The sauce is made of noodles, soy, starch, and various spices. Pingyao’s climate is temperate continental with hot summers and cold winters. Average highs are 29°C (84°F) in July and 2°C (35°F) in January. The middle seasons offer the most comfortable weather, summer has the freshest air, and winter offers lowest prices. Summer is often hot with a moderate 100mm (4 inches) of rain falling in each of the wettest months, July and August. Most of Pingyao’s rain falls in summer, making the other months dry. In mid-winter, a freezing wind blows from the north with night temperatures around-10°C(14°F). The temperature varies greatly between day and night and the air quality is poor in winter, though not as bad as larger cities in northern China. Pingyao can be reached from Beijing by high-speed train in 4 hours and from Taiyuan by train in 40 minutes. Taiyuan has an airport; Pingyao does not. We offer a train ticket service to help you find train times and obtain tickets when traveling in China. Click here for more transportation information about Pingyao. If you want to discover more about this cultural city, it would be best to have an experienced tour guide. We can help you with that. 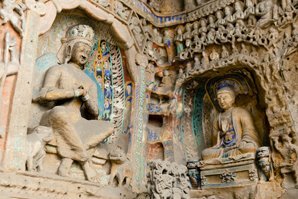 A tailor-made China tour based on your interests and requirements can also be designed by our experts.